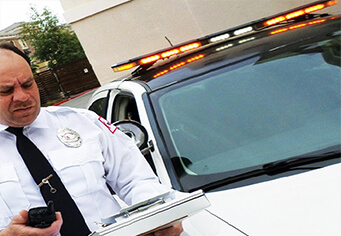 Citiguard security offers comprehensive and high quality armed and unarmed security guard services. We provides integrated and cost effective security solutions for commercial and residential security guard services in Los Angeles area including Orange County, Ventura, and California. We strive in our security officer Los Angeles always an optimal balance between technology and services that best meets the needs of the customer: burglary, fire, access control, vehicle security patrol, property management etc. We have a diverse range of services to meet our customers requirements and have a broad geographic footprint to meet demand for security patrol services ventura, camera surveillance and executive protection. Citiguard security guard and protection offers complete security guard services personnel, vehicle patrol and specialized protection solutions for your residential and commercial property management companies, industrial facilities, banking and finance institutions, venues, logistics and manufacturing sites, hotels, hospitals, medical centers and for corporate and special events. We provide highly-trained unarmed and armed security guards, we at Citiguard create customized security protection and safety solutions for residential apartment complexes, condominiums, commercial high rises and manufacturing site security guard services locally in the greater Los Angeles area and throughout the State of California. Start protecting your business, your home and your family today with the security guards at Citiguard. Citiguard differentiates itself by listening to its clients’ security and safety needs and then making appropriate security assessments. We offer specialized security and protection services to our clients by helping them solve their security challenges by offering real solutions. We are committed to our client’s security guard protection needs and provide top-tier security guard protection officers with the most extensive training and integrity in the industry. Our security guard personnel exemplify high reliability, integrity, are well-groomed and possess a minimal of high school diploma or equivalent. Citiguard constantly trains their security protection officers, in the classroom, on the field and on site, to be able to work any environment and venue. The proactive security training Citiguard utilizes, prepares them for the many challenges our client’s businesses may face on a daily basis. Total security coverage requires a full range of specialized security protection services. Given the broad scope of activities for businesses with multiple locations, requires a full range of specialized security services that go beyond core facilities security services. At corporate business offices for example, specialized Citiguard security protection officers cover specific needs related to site and personnel protection. At Citiguard, it is our goal to make each and every one of our clients feel fully protected at all times, whether you own a small business or a large corporation, a condominium or a high rise, whether you are holding a local event or need security assistance at a corporate event, and anything and everything in between. Citiguard is here for you 24 hours a day, 7 days a week for all your security guard needs. Our security guards know the importance of not just great but outstanding customer satisfaction. Citiguard believes in a personal approach to working with you and assessing and managing your daily security needs. We offer a free consultation, we will meet with potential clients and discuss their specific wants and needs of a security guard Los Angeles or at their location. Call today to schedule a free security assessment and meet with our highly knowledgeable security protection consultants.